Communication is an art, and anyone--whether shy or outgoing--can improve his or her conversational skills. 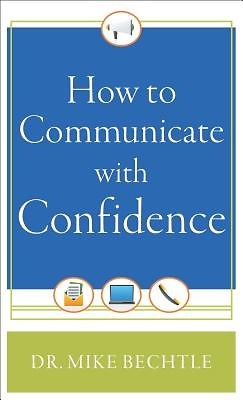 How to "Communicate with Confidence "is a straightforward guide to making good conversation that works in any situation--and works for any personality type. Highlighting the art of give and take and stressing the importance of listening, this book gives confidence to those who hesitate to strike up a conversation. Author Mike Bechtle shows readers that they don't have to have a stockpile of great stories to tell in order to make good conversation. Instead, he encourages an "explorer" mind-set and gives readers the tools they need to talk to anyone, anytime, anywhere.